Greater muscular strength is strongly associated with improved physical performance in athletes. A recent investigation identified 16 loci associated with handgrip strength; however, handgrip strength is a poor indicator of athletic performance. Therefore, investigation into more ecologically valid strength measures is warranted. Furthermore, there is a large variability in both muscle size and strength gains in response to resistance training. It has been suggested that an up-regulation of myonuclear transcriptional activity during the early stages of myofiber hypertrophy leads to altered expression of genes known to modulate myofiber size. In addition, follow-up functional annotation revealed networks favouring growth, ribosomal activity, and stem cell activity in extreme ‘responders’ versus pro-inflammatory processes in ‘non-responders’, which suggests that the pre-training muscle transcriptome profile is highly influential in the resistance training myofiber hypertrophy adaptation. Therefore, the overall aim of this investigation is to establish the genetic basis and molecular regulation for measures of strength associated with athletic performance in comparison to older adult performance, and the responses to resistance training in trained individuals. Studies suggest that the prevalence of cognitive decline in older adults is as high as 28%1. In cases categorised as mild cognitive impairment this is associated with an increased risk of developing dementia. Cognitive deficits are also a common and often persistent symptom of stress-related disorders, including depression, which infers an 83 percent increase in risk of developing dementia2. Stress and stress-related disorders have also been linked to higher rates of physical health conditions. For example, individuals with depression are twice as likely to develop type 2 diabetes mellitus compared to those without and the prevalence of stroke and myocardial infarction is respectively three- and five-fold higher in people with depression3. Early detection and intervention can improve patient outcomes, including life-long health. There is little high quality data on biological and psychological modifiers of changes in cognitive performance in response to both naturally occurring environmental stress and experimentally induced stress in healthy individuals, or how these factors change with age. The same is true of perceived effort in performing daily tasks or exercising, which may have a direct effect on activities of daily living performance, quality of life and isolation in the elderly. This is of particular interest as although the health benefits of exercise in people with depression is reasonably well studied exercise tolerance is not. Having a better understanding of both the physical and psychological impact of stress on perceived effort in exercise may facilitate future exercise based interventions. This study will take an interdisciplinary approach and utilises well established behavioural and cognitive measures, brain imaging and physiological measures. Skeletal muscle (and its interactions with tendon and bone) is important for maintaining body posture and locomotion by transmission of force and movement during muscular contraction. Reductions in muscle mass and function (sarcopenia) are a major clinical problem in old age, underpinning age-related morbidity, compromised balance, and increased risk of falls and fragility fractures. As a result of the rapid expansion in the elderly population, our healthcare system is under increasing pressure to cope with the burden of the significant increase of age-related morbidities. To better understand the mechanisms underlying this loss of muscle mass and function, and to address the health consequences of ageing, research has been conducted in animal model systems. However, progress to off-set and develop cures for age-associated muscle wasting has been slow and marred by the interaction of many physiological systems in muscle wasting. A tissue-engineered muscle system may overcome some of these confounding factors. This research proposes to study how aging affects Leishmania spreading between human blood cells to tackle one of the least studied question of Leishmania research: changes in the immunology of infection during aging. Over 20 species of Leishmania are known to infect humans with consequent disease manifestation ranging from asymptomatic to self-healing cutaneous manifestation to deathly visceral infection. Disease outcome is a consequence of the immune response to infection. The effect of aging on immunological response and disease development has been investigated in mice models with contradictory results. Interestingly, asymptomatic infections are often detected in autopsy of elderly suggesting a link between an aging immune system and parasite survival within the host. A better understanding of the immunology of leishmaniasis is necessary to develop treatment and vaccination strategy. The immunology of Leishmania infection is a complex topic, which despite a significant amount of research remains largely misunderstood. This is largely due to the fact that almost all immunological studies are carried out on mice models which are not a good representation of infection and disease. Moreover almost all studies of infection investigate parasites entrance in human rather than their spreading between cells, even though disease manifestation is a direct consequence of the parasites ability to spread between host cells. Physical activity is an important determinant of health across the lifespan, yet the majority of children are inactive. Childhood is an important time to promote physical activity, in order to develop healthy behaviours that promote healthy ageing. Much research has focussed on promoting physical activity in school-based settings as conducive environments to promote lifelong physical activity. Despite this, such interventions demonstrate limited success with largest variability in children’s physical activity being during the out of school hours. As children spend the majority of their out of school time with their families, there is an opportunity for a family-based (intergenerational: from children to grandparents) intervention targeting behaviour change and health improvements. This PhD programme builds upon our research that has explored the role of the family in children’s physical activity and developed contemporary methods to measure activity and sedentary behaviours. Our proposed research will develop and evaluate a family-based out of school intervention that 1) aims to improve children and their families’ physical activity and reduce the time they spend engaged in sedentary behaviour 2) Examine any associated changes in physiological (e.g. cardiovascular risk, adiposity) and psychosocial (e.g. well-being) health markers. with age-related diseases, such as Alzheimer’s disease (AD). AD affects 50-million people worldwide, placing significant socioeconomic burdens on developed and, increasingly, developing countries. known as astrocytes are chronically atrophic and dysfunctional in a human cell models of AD. neurological conditions, including many associated with ageing populations such as AD, Parkinsons and motor neurone disease. Diabetes currently affects more than 371 million people worldwide, and this number is expected to rise to 552 million by 2030. Type 2 diabetes is a serious long-term condition that can lead to morbidity and premature mortality due to diabetes- related complications such as cardiovascular disease. Current approaches to targeting lifestyle behaviour change to manage type 2 diabetes in routine clinical settings are largely ineffective. As such there is a pressing need for interventions that lead to improved glycaemic control and that can be delivered at scale given the magnitude of the problem. The quality of life for patients with serious and life-threatening conditions can be transformed with elective surgery. However, surgery itself is associated with a significant risk of morbidity and mortality because surgical procedures place high stress onto organ systems. The risk of serious adverse outcomes, including death, after surgery is highest for people with low cardiopulmonary ‘fitness’. Surgical teams can refer elective surgery patients for cardiopulmonary exercise testing (CPET) to assess the risk. During CPET, exercise intensity progressively increases whilst measuring cardiorespiratory, muscle, metabolic and other physiological responses to identify low fitness and serious underlying co-morbidities (such as heart and lung conditions). Thus, CPET can be used in the peri-operative period to triage patients by identifying those unfit for surgery and to identify comorbidities known to increase risk (Older et al., 1999; Snowden et al., 2010). However, CPET requires specialist staff and equipment, is time consuming and intense for the patient. There is a need to establish the evidence to demonstrate how the outcomes of CPET and pre-operative assessment can be implemented and interpreted more systematically, minimising risks of post-surgical mortality and morbidity. There is also a need to explore the use of other complimentary assessments that may be applied in the peri-operative period to predict adverse outcomes following surgery and in recovery. Skeletal muscle size and physical function hold promise (Hasselager and Gögenur, 2014; Karam et al., 2013). The world-class research community at NTU tackles society’s biggest challenges with research that is transforming the world and saving lives. Research at NTU won the 2015 Queens Anniversary Prize –the highest honour for a UK university– and 90% of NTU’s research was classed as world-leading, internationally excellent or internationally recognised in the 2014 Research Excellence Framework. The newly-established British Heart Foundation Cardiovascular Research Centre at Leicester houses state-of-the-art facilities that enable pioneering research on cardiovascular diseases to continue apace. The UK is uniquely placed to address many of the unanswered questions regarding myocardial infarction (MI). Drs Sharpe and Williams have a proven track record of respiratory research and will have access to unique expertise and asthma patients with in vitro respiratory expertise offered by Dr Carl Nelson. With over 100+ original publications, Professor McTernan provides in depth expertise into chronic inflammatory conditions supported by international leading work of Prof Helen Maddock, coupled with industrial support. This interdisciplinary approach will innovate research outputs and strengthen alliance-training opportunities between institutes. The project combines expertise of researchers in Health & Wellbeing at Nottingham Trent University with partners at OncoTherics Ltd to evaluate the use of hypoxia-activated bioreductive agents in monitoring endogenous hypoxia. Hypoxia is considered a contributory factor in several diseases where normal oxygen demands are not met by supply resulting in a potential pathological response. These include a diverse range of neurodegenerative conditions (e.g. Parkinson’s disease, Alzheimer’s disease) where oxygen tensions can be insufficient due to poor mitochondrial respiratory function. This impaired function is considered a key mediator of the disease process and can result in endogenous hypoxia. Several mechanisms exist that help hypoxic cells adapt to intermittent low oxygen environment including alterations to mitochondrial function and metabolism through modification of distinct respiratory chain subunits (e.g. complex I; Ugun-Klusek et al., 2017; Fitzgerald et al., 2012) and lowering metabolic pathways to regulate hypoxia inducible factors (HIF; Ponniah et al., 2015); a key mediator of adaptation in hypoxia. Together, the molecular and cellular adaptations to hypoxia contribute to our understanding of the potential clinical association of hypoxia and the neurodegenerative process. Bio-reductive prodrugs (i.e. prodrugs that are activated only under conditions of hypoxia or hypoxic-like states) can provide a means of imaging the hypoxic-derived state of cell populations and/or initiate cellular adaptation. These prodrugs can be tracked during insufficient oxygen tensions and are amenable to real-time monitoring thus allowing temporal molecular and cellular measurements. Klotho/beta-Klotho (KLB) are transmembrane proteins that act as co-receptors for endocrine fibroblast growth factors (FGF19, – 21 and -23) to activate their cognate FGF receptors (FGFRs). Klotho was originally identified as ageing- related gene when disruption of Klotho gene in mice led to phenotypes resembling ageing and shortened life-span1. We have previously shown that the function of Klotho/KLB in ageing is evolutionarily conserved in the nematode C. elegans2, which has two Klotho/KLB orthologs. C. elegans also has evolutionarily conserved insulin signalling and the role of insulin signalling in longevity and the effects of glucose on shortening lifespan were first discovered in C. elegans3. These effects are mediated via the forkhead box O (FOXO) transcription factor DAF-163. Inter-individual differences in the responses of patients with low back pain to exercise interventions. Low back pain is a common condition and one of the leading cause of life years lost to disability globally. The consequences of low back pain on the individual, healthcare systems, industry, and the wider society are considerable. Our team have pioneered a new statistical approach for identifying if true inter-individual differences to interventions exist. This statistical technique has never been used to investigate if true variation in response to exercise occurs in people with low back pain. Such work would identify if matching patients to exercise therapy (and specific forms of exercise) is logical. Stroke is a leading cause of motor deficiency in millions of people worldwide. Unfortunately, the number of people affected by stroke will inevitably rise as global life expectancy increases. The prevalence of motor deficits following a stroke can be up to 80% in a defined elderly population. Only a small proportion of this group (approximately 20%) will partially recover, leaving approximately 50-60% who are left with some form of chronic motor deficiency. Tristan McKay is a Professor of Stem Cell Biology at MMU with over 10 years of experience in applying pluripotent stem cell models to address basic biological principles underlying developmental, ageing and disease states. Most recently his research has focussed largely on the molecular biology underlying inflammation and hypoxia (physiological oxygen depletion) in the context of cortical neuronal health (Hawkins et al. Cell Reports, 2016; FitzPatrick et al. Stem Cell Reports, 2018; Foxler et al. EMBO Mol Med, 2018). More recently, McKay has developed collaborations with medicinal chemists to evaluate drugable targets within cell signalling pathways that could ameliorate age-related disease (Smith et al. J Med Chem, 2019). Dr. Mark McLaughlin is a Lecturer and early career researcher in Medicinal Chemistry at MMU. He carried out his PhD under the supervision of Prof. Matthew Cook at Queen’s University Belfast and was awarded a prestigious internship at Genentech, San Francisco, USA (McLaughlin et al. Cehm Comms, 2014; McLaughlin et al. Organic Lett, 2016). He worked as a post-doc at the Institute of Cancer Research, London for 2 years then joined Prof. Paul Brennan’s group at the University of Oxford developing fragment based approaches to small molecule inhibitors of several important biological targets (Bavetsias et al. J Med Chem, Kiely-Collins et al, Chem Comms 2018) . In January 2018 he moved to Manchester Metropolitan University as a Lecturer in Medicinal Chemistry where his group focusses on both medicinal and synthetic organic chemistry. Simon Waddington is a Professor of Gene Transfer Technology at University College London. He is internationally recognized for his excellence in pre-clinical in vivo evaluations of disease interventions including drugs (Ridley et al. J Biol Chem, 2013; Banushi et al. Nat Comms, 2016) and most often gene therapy (Baruteau et al. Nat Comms, 2018, Massaro et al. Nat Med, 2018, Tordo et al. Brain, 2018). indicators. The project will also study well-being and healthy aging from digital indicators. We will use a unique anonymous dataset collected by Nokia from the activity trackers (e.g. fitbit) of 150K people in 20 cities of 12 countries over 3 years. The high-quality data provide, the number of steps, heart beats and sleeping patterns at daily resolution for each individual. Furthermore, the data provides demographic information such as age and gender. Scientific excellence: We propose to develop predictive in silico models of muscle wasting across the life span as a result of identifying key determinants of muscular plasticity with age. A novel, world-leading multidisciplinary approach combining demographic, experimental cellular, biological and biomechanical data with computer simulations, to determine, manipulate and model ageing health will underpin our research. Healthy ageing is essential to prevent overburdening health care facilities and to capture the potential of an increasingly older population. Since 2001, commitments to achieving healthy ageing have featured heavily in government policy and directives. However, over 15 years later healthy ageing for all remains elusive, suggesting we are not addressing the problem correctly. In the face of a growing NHS crisis, we have an urgent duty to reduce lifestyle-linked chronic ill health, if we are to enable healthy ageing for all. To deliver the goal of increasing healthy, active ageing, we must first understand what causes ageing, if we are to develop means to influence the processes. To do so, we propose to recruit males and females (ages 20-80) to the study in order to determine, manipulate and model functional, physiological, cellular and molecular adaptations with age. This application therefore proposes to define and model the ageing process, with derived data ultimately being used to inform healthy ageing and thereby to improve quality of life and to decrease NHS demands of an ageing population. Despite significant advances in diagnosis and treatment, cancer represents the second most important cause of death and morbidity in Europe, with more than 3.7 million new cases and 1.9 million deaths each year. Moreover, although cancer can occur at any age, it is much more common in older people and the risk of developing cancer increases significantly over the age of 50. The causes of cancer are multi-factorial and the most common treatments include combinations of surgery, radiotherapy and chemotherapy. Acquired drug resistance and acute side effects are the major drawbacks of chemotherapy. Similarly, radiotherapy also results in significant side effects and damage to surrounding tissues. These problems have led researchers to investigate the targeting of chemotherapy drugs or compounds capable of absorbing X-rays (known as radiosensitisers) to cancer cells with the aim of increasing the effectiveness of the therapeutic agent and reducing its side effects. Nanotechnology, the study and application of materials at atomic and molecular scales, offers exciting opportunities to transform the diagnosis and treatment of cancer through innovative therapeutic application of nanomaterials. Triphenylphosphonium (TPP) cations are known to be preferentially accumulated by the mitochondria of cancer cells and research at SHU and the OU has demonstrated that attachment of TPP-groups to gold nanoparticles (AuNPs) facilitates their selective accumulation into cancer cells (SHU) and selective toxicity towards cancer cells (OU). Thus, acute 3 hr exposure of HSC3 human oral squamous cell carcinoma cells to 30 g/ml TPP-AuNPs resulted in over 90% death in clonogenic assays, while identical treatment of normal human HaCaT keratinocytes resulted in no toxicity. At the OU, X-ray irradiation of 10g/ml TPP-AuNP-exposed HSC3 cells demonstrated weak radiosensitisation, with increased selectivity for cancer cells. Multiscale molecular dynamics simulations at the OU revealed that lowering the ligand density on AuNPs, to a point where water molecules can freely diffuse to the AuNP surface, substantially improves radiosensitisation [Haume 2018 DOI: 10.1140/epjd/e2018-90050-x]. Therefore, in this Nano4CaRE application, we will determine the optimum TPP density of these promising anti-cancer AuNPs to yield a powerful cancer- selective chemo-radiosensitiser. Despite recent advances in cell biology, the effectiveness of most nanoparticle-based cancer therapies are determined in 2D cell culture models. However, in a living organism the cellular environment is a 3D system. Consequently, there is growing interest in investigating the interaction of nanoparticles with 3D in vitro models. As part of a separate project, Dr Cross has developed 3D cancer models that can be used to assess several parameters of nanoparticle cancer therapeutics. Inclusion of immune cells in this model would improve its resemblance to in vivo tumours, which interact with immune cells to prevent immune surveillance and destruction of the tumour. Dr Leyland brings expertise of immunotherapies for cancer and is currently investigating the immuno-inhibitory mechanisms of cancer and co-cultures of immune cells and cancer cells, which will be combined with Cross’s model. The behaviour of nanoparticle-based cancer therapeutics and radiosensitisers under these more realistic conditions has never been explored previously and represents a major advantage of this project. Prosthetic joint infection (PJI) is a major complication of arthroplasty surgery, arising in 1-3% of all primary procedures. Arthroplastic surgery and PJIs are commonly associated with an aging population with the mean age of patients receiving primary hip, knee or ankle replacement surgery in England and Wales being 68 years1 In arthroplasty, surgeons typically use antibiotic prophylaxis to prevent infection. Antibiotics can be delivered systemically or via a local depot contained within antibiotic-loaded bone cement. Increasingly cementless procedures are performed and so only systemic antibiotic delivery can be used in these cases. Therefore the ability to provide local antibiotic release without the need for antibiotic loaded cement would mark a significant advance in prevention and treatment of PJI. Dr Gref’s group in Paris have an established international reputation in developing nanoparticle systems for controlled release of therapeutics. Dr Gref has a strong track record of EU funding, >150 publications H-index 47. The SHU team’s collaboration with Dr Gref has been initiated with funding from the Royal Society (PI Smith; CoI Nichol). Preliminary data have confirmed that antibiotic-loaded nanoparticles within a sol gel coating can be eluted in a controlled manner, release of the antibiotic from the nanoparticles can be controlled by changes in pH and released antibiotic is active against a panel of clinically relevant organisms. The research team based at Manchester Metropolitan University has extensive experience of developing and applying new techniques to understand human movement and the various changes impacting negatively on physical function in old age. This innovative project will make use of the latest developments to understand why some people feel a distinct lack of energy or motivation each day that prevents them from completing many day-to-day tasks and reduces their quality of life. This disorder (‘generalised fatigue’) is common amongst people with Fibromyalgia Syndrome. Fibromyalgia syndrome (FMS) is relatively common, affecting around 1,500,000 – 2,000,000 million people in the UK. The main problem of FMS patients is widespread pain of muscles across many different body regions. A very common additional complaint is generalised fatigue characterised by a perceived lack of energy or motivation to complete physical and mental tasks. The fatigue is not eased by rest or sleep and is therefore potentially disabling. The causes of fatigue in FMS remain largely unknown. In our research, we plan to study possible mechanisms responsible for the heightened experience of fatigue. We will investigate the possibility that FMS patients have a heightened perception of effort during moderate intensity physical activities. We expect the objective physiological responses (such as heart rate and blood pressure) to physical activity to be normal. Therefore, a mismatch may exist between subjective perceptions and objective indicators of physical activity. Predictive processes important for eye-hand coordination required in everyday actions are impaired in those with mild traumatic brain injury, mild cognitive impairment and Alzheimer’s disease. There is even evidence that normal ageing impacts upon eye-hand coordination in daily tasks where there is a requirement to share attention between multiple locations. This impairment could be associated with visual-spatial working memory, and in particular processes operating in the dorsolateral prefrontal cortex (DLPFC). Here, then, we will use a novel combination of behavioural and neurophysiological protocols to investigate key areas of the cortical network that underlie complex oculo-manual behaviour of young and elderly neurotypical adults. Extending upon our previous work, we have developed an innovative experimental protocol (i.e., dual-task remembered pursuit) that requires a momentary shift of eye gaze, and thereby overt attention, between a moving and stationary object. This places greater demand on attentional and representational process in order keep track of the primary object as it moves in an eccentric location. The task will be performed with eyes alone or eyes and upper limb (active or passive movement), and will enable us to investigate with TMS and NIRS the contribution from motor and pre-frontal cortical network (M1, DLPFC) in the presence of motor afference and/or efference. Insights from our work with neurotypical young and elderly adults will inform future research with neuroatypical populations who have impaired predictive sensorimotor processing. Predictor of fluorosis: total fluoride intake or subsequent fluoride absorption? Oral diseases are the most common non-communicable diseases (NCDs), which affect people throughout their lifetime, causing pain, discomfort, disfigurement and even death. According to the Global Burden of Disease Study 2016, almost half of the world’s population are affected by oral diseases, with dental caries being assessed as the most prevalent condition. Due to the well-known role of fluoride in preventing dental caries, it has been added to water, salt, milk and dental products to reduce the prevalence of dental caries. Currently almost 380 million people worldwide in 25 countries receive fluoridated water at an optimal level of 0.7-1.0 ppm. However, excessive chronic fluoride exposure can result in undesirable dental fluorosis. It has been suggested that the fluoride intake should not exceed a tolerable upper intake level (UL) of 0.1 mg/kg body weight/day, especially during enamel formation, to minimise the risk of dental fluorosis. Excessive fluoride has also been linked with other adverse health effects such as musculoskeletal effects (bone fracture, irregular bone mass density and skeletal fluorosis), lower-IQ and neurological manifestations, thyroid disease (hypothyroidism), birth defects, bone cancer (osteosarcoma) and cardiovascular disease. Studies of fluoride and its adverse health outcomes have yielded somewhat conflicting results. These inconsistencies probably reflect differences in fluoride exposure or more importantly differences in fluoride metabolism. Several factors such as diet composition could alter the rate of fluoride bioavailability and therefore its absorption and consequent retention. Therefore, it is important to quantify the amount (percentage) of absorbed fluoride and body-retained fluoride rather than only the absolute total fluoride intake. COPD is characterised by breathless but pain prevalence is also higher in individuals with COPD (66%) compared to older adults (23%) with thoracic pain most frequently reported (36-54%). Pain appears to have a musculoskeletal component which likely stems from altered breathing mechanics in response to increased ventilation. People with COPD and healthcare professionals also emphasise the emotional element of pain, which increases breathless symptoms. A pain intervention that highlights the interactive relationship between experiences of pain, dyspnoea and anxiety may help patients rationalise how these symptoms interact in COPD. The project plan will give clear direction to the student while allowing appropriate space for the student to develop their own ideas to facilitate ownership of the project. Virtual Reality (VR) has been in use for relief of acute pain in burns, dentistry, wound debridement and post-operative pain for around 20 years. A key mechanism is distraction facilitated by immersion in the virtual environment. More recent studies have begun to explore the use of VR in the management of persistent pain. This is more challenging because of the complex interplay of biological, physical, emotional and social mechanisms. Within self-management of persistent pain, distraction is recommended to help manage pain and flare-ups of pain. There is emerging evidence that VR methods may help reduce pain in the short term for people with persistent pain. The project plan will give clear direction to the student while allowing appropriate space for the student to develop their own ideas to facilitate ownership of the project. It is well established that aging is a progressive deterioration of an organism’s cellular structures and homeostatic mechanisms, with an increasing decline with age in an organism’s ability to correctly perform normal cellular functions. Mitochondrial DNA (mtDNA) damage arising from respiration-associated reactive oxygen species or inaccurate mtDNA replication and repair is linked with normal and premature aging, and other age- associated degenerative disorders affecting healthspan. Little is known of how mitochondria repair the damage to their DNA, and in particular, the roles of lesion bypassing DNA polymerases, several of which may be targeted to the mitochondria. Some DNA polymerases may exhibit either protective or mutagenic effects on mtDNA, suggesting their deregulation could influence not only cancer development, but mitochondrial aging and hence normal life- and healthspan. We will study these DNA polymerases to assess how they influence mtDNA integrity in human cells using in vivo and in vitro approaches, and also if they influence organismal lifespan with the Caenorhabditis elegans worm model system. 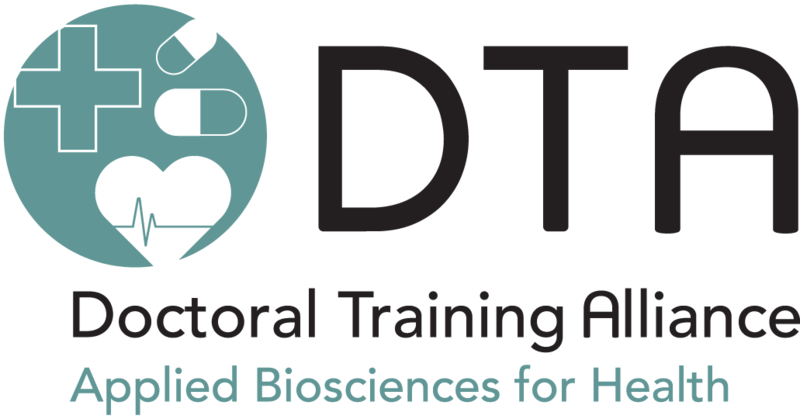 The project brings together UK and international laboratories in the fields of genome integrity, metabolism, C. elegans and oxidative DNA repair. Aging population is a major demographic concern that is driving a compelling demand for advanced medical diagnostic and therapeutic tools, given that older people are particularly prone to a series of prevalent diseases related to neurodegeneration, cancer, cardiovascular malfunction and musculoskeletal conditions. Early detection and speedy treatment of those disorders can be achieved via advanced theragnostics, i.e. tools that integrate diagnostics tests and therapeutic treatments, facilitating a long and active life for the patients. the gut microbiota, that modulates GI function and immunity, alters its richness and diversity Zinc deficiency in animals also alters microbiota composition and is associated with dysbiosis, compromised nutrient uptake and reduced beneficial short chain fatty acids (SCFAs) (Reed et al., 2015). Micronutrient repletion in humans may return the microbiome to a pre-deficient state or lead to dysbiosis. We have a poor understanding of the interplay between human gut metabolism/immunity, its microbiota evolution/pathogenesis, and micronutrients (zinc) as “control switches” during ageing. We will use samples from a human zinc-repletion clinical trial as a model to dissect this zinc-centred multi-factorial network, as a forestep towards healthy ageing intervention. A nuclear power plant is basically a thermal power plant using nuclear reactions as the heat source, rather than fossil fuels in coal or natural gas fired power plants. Nuclear power is the largest source of low-carbon electricity in the developed world and the second largest, after hydro, in the world as a whole. Nuclear power will be essential for meeting the UK’s greenhouse gas emissions reduction target, unless we can adapt to depend largely on variable wind and solar, or there is a breakthrough in the commercialization of carbon capture and storage. UK government polity supports a new programme of nuclear power and the recent agreement to guarantee the price of electricity form Hinkley Point C is a major first step. The total installed nuclear electricity generating capacity of the world in 2010 was about 370 GWe and it is projected to increase to about 500 GWe by 2030 on a low estimation scale and to about 700 GWe on a high estimation scale. Nuclear power generation is often considered as base load power, i.e., 100% production at all times. However, with low demand for electricity at night or during weekends (off- peak times), it is generally preferred to act as load- following in order to reduce electricity generation during these periods. In the case of nuclear power plant, fuel costs represent a small fraction of the operational costs, especially compared to fossil fuel power plants. Operating at higher load-factors is profitable for nuclear power plants as they cannot make savings on fuel costs while not producing electricity. This provides enormous opportunity for storing the off-peak or excess electricity by using energy storage technologies. Attempts at creating augmented reality (AR) tools date back to the late 1960s but only in recent years the advancement of technology has allowed broader market acceptance with tools such as HoloLens, Meta2, Smart Helmet. Current applications include gaming, automotive and defence sectors, whereas the construction industry adoption is at its infancy. Existing developments in the construction sector relate to construction design and planning (SketchUp Viewer by Trimble, 2016). Applications in visualisation of real time building energy sensory information and energy consumption of white goods are yet to be realised. In particular, combination of such real-time energy data with simulated energy profiles using building information modelling and serious games opens excellent opportunities for scientific research. Such research builds upon previous successful endeavours at Teesside University to utilise serious games in construction health and safety training (Dawood et al. 2014). Hydrogen is considered vital to future energy supply, providing a clean and sustainable fuel source. Photocatalysis allows the direct conversion of water into hydrogen and oxygen by light. However, most photocatalysts require UV light activation. This project will develop visible light photocatalysts, allowing efficient hydrogen production using only sunlight. Hydrogen generation from water via photocatalysis promises a simple, one-stage process of directly converting solar energy into fuel, with no complex electronic or mechanical systems. Titanium dioxide (titania) is the classic water splitting material, with a significant body of research describing its production and applications. However, it requires UV activation due to its large bandgap, and has a low quantum efficiency. This precludes the efficient use of solar radiation, which has a small UV component, to generate hydrogen from water by this method. The proposed project on developing microwave energy technology for accelerated comminution of demolished concrete and tarmac road waste will focus on fundamental aspects and effects of microwave heating at high temperatures. It will involve an interdisciplinary approach including the interactions of microwaves with heterogeneous construction materials, energy, thermal effects, material response to differential thermal stresses and chemical changes. It will lay a strong foundation for innovations in the application of microwaves for recycling construction waste and in the application of microwaves for road repairs. The current state-of- the-art lacks the fundamental knowledge which can be provided by interdisciplinary research. This includes investigation of electromagnetic energy, material microstructure and fracture mechanics, chemical characteristics, effects of constituents of heterogeneous materials like concretes and relationships of operating parameters of microwave energy systems with the properties of the comminuted materials. Optimised design of all CSG system, with PCM energy storage system and advanced power generation system, for a range to low heat sources temperatures and heat recovery from solar thermal energy. Establish a multi-functional and high precision test rig for the solar powered energy storage system with nanofluids and PCM materials and heat source temperatures ranging from 20°C to 95°C. Understand the complex heat recycling processes involved in renewable energy storage and power generation system and obtain valuable performance data through the use of advanced flow measurement technologies. Design detailed transient simulation models for each components and CSG system and validate the models with experimental results. Investigate the heat transfer and thermal behaviour of major components, particularly the energy storage heat exchanger with PCM and nanofluids in the CSG system, and system thermal and exergy efficiencies through experiment and simulation modelling. Prepare the operation specification for the CSG system. Demonstrate the advantages of the proposed system over conventional domestic boiler system ones through the use of a prototype. Micro turbine CHP (combined heat and power), a cost- effective and flexible low carbon solution that generates heat and electricity on-site, can support the transformation to a low carbon energy system. Micro turbine CHP (mCHP) offers significant CO2 emission reductions compared to a gas boiler (up to 1 tonne p.a. per household), delivers economic benefits to the end users (via savings of imported grid electricity) and saves money for the network operator by minimising the need for additional investment in distribution equipment and central power generation. Microgeneration from mCHP is likely to coincide with peak demand periods, and so increases security of supply and reduces the need for transmission and distribution network reinforcement. The project will also generate UK owned know-how and Intellectual Property Rights for additional exploitation and safeguard existing jobs and generate additional jobs by developing manufacturing processes at British facilities. The micro turbine has been designed by Samad Power Ltd (SP), which is the partner of this project, to be integrated within existing branded boilers, replacing the burner and fan while leaving many of the other component parts in place, thus reducing overall costs and forming an attractive business proposition for boiler manufacturer. Solid-state thermoelectric generators (TEG), which convert heat to electricity directly and vice versa, are considered pioneer candidates for industrial waste heat recovery and electronic cooling. However, existing thermoelectric (TE) materials have relatively low conversion efficiency. This project goal is to understand the contribution of secondary phases and interfacial chemistry on electronic transport properties of bismuth telluride (Bi2Te3)-based TE materials in order to improve their thermoelectric conversion efficiency. This will advance fundamental knowledge of functional materials, address technological challenges and enable UK researchers to compete internationally in the highly challenging field of energy harvesting and energy savings. Thermal energy storage (TES) systems based on latent heat of PCM (phase change materials) have attracted more attention lately due to their capabilities of high energy storage capacity, high density and narrow operating temperature range. This technology is believed useful to fulfill the gap between the global demand and supply of energy. This system also has been recognised as one of the most advanced energy technologies in enhancing energy efficiency. Hence, it could be applied in many fields such as in smart textile and, intelligent buildings and, temperature-adaptable greenhouse solar energy storage, thermal insulation, etc. To promote the prospects of wide application, there is a need to provide more economical and high performance phase change materials for thermal energy storage systems. Oil and gas transportation play a vital role in securing the global energy safety. In 2014 there were more than 2.1 million miles of pipeline in 120 countries of the world and about 120,000 miles of pipelines were planned and under construction. Most of the pipelines are currently made of steel which is susceptible to corrosion from various hazardous factors (acid, sulphur, freeze-thaw, chloride, weather etc) and malicious attacks (e.g., terrorists). The structural durability and integrity of these pipelines are thus major concerns to the petroleum and natural gas industry. For example, the oil spill of a BP-managed, 1287 km-long pipeline at Prudhoe Bayin, Alaska in 2006 due to corrosion, resulted in over US$20m fine to BP. Costly patrolling by helicopters are run every two weeks in the UK to identify potential problems in the pipelines. Considering that many pipelines were built more than a half century ago, it is highly desirable to develop new generation of pipelines with higher durability, structural integrity and resilience for a more sustainable oil and gas industries. Materials exhibiting high energy and power density are currently needed to meet the growing power supply demand of portable electronics, electrical vehicles and other energy storage devices. In comparison to other energy storage devices (such as fuel cells and batteries), dielectric capacitors are receiving great deal of attention for advanced pulsed power due to their high-power density and quick charge-discharge rate. In general, there are three kinds of materials used in capacitors: linear dielectrics, anti- ferroelectrics (AFE) and ferroelectrics (FE). To achieve both high recoverable energy (Wrec) and efficiency (η), materials should exhibit large maximum polarisation (Pmax), small remnant polarisation (Pr) and high electric breakdown strength (BDS). Often the latter is a limiting parameter, due to both intrinsic and extrinsic reasons. Pb-based AFE/FE already proved to exhibit good energy-storage properties, because of their inherently high polarisation. For example, Bi0.5Na0.5TiO3-BaTiO3-KNbO3 (BNT-BT-KN) ceramics can reach a Wrec of 1.72 J/cm3. A very high BDS (300~400 kV/cm) was achieved in K0.5N0.5NbO3- based ceramics by controlling grain growth and Wrec reached ~ 4 J/cm3. Recently a multinational research team, including Dr. Feteira from Sheffield Hallam University, reported an ultrahigh discharge energy density (10.5 J/cm3) and efficiency (η = 87%) in doped BiFeO3–BaTiO3 ceramic multilayers by achieving an electrically rather than chemically homogeneous microstructure. These multilayers exhibited a BDS greater than 700 kV/cm, combined with a maximum polarisation of 35 μC/cm2. A systematic and comprehensive study that unveils the underlying mechanisms that control energy storage in ferroelectrics is still lacking. Indeed, the ability to understand how to tailor the energy storage performance characteristics of ferroelectrics while maintaining their naturally high polarisation is of paramount importance, if these materials are to be deployed into commercial applications. This is the main objective of this research proposal. Interest in photovoltaic (PV) power generation has increased in recent years thanks to its inexhaustible and clean energy resources. However, advances in design solutions to guarantee their reliability and efficiency have not followed a similar development. This project proposes a novel holist methodology consisting in the design of new monitoring circuits, advanced diagnosis algorithms and proactive and reactive actions to guarantee that PV systems keep on operating effectively and efficiently also in presence of faults and malfunctions of their components, thus guaranteeing continuous reliability, high-energy efficiency and adequate investment profitability. Imagine slipping into a jacket, shirt or skirt that powers your cell phone, fitness tracker and other personal electronic devices as you walk, wave and even when you are sitting. With growing interest in wearable electronic devices, there is a need to find different power sources, especially to alleviate the need for regular charging or battery changes. Fortunately, the human body provides several potential energy sources, including heat and motion, and is routinely exposed to other sources like friction. These can be exploited using energy harvesting technologies to provide power for wearable devices, from medical and sports body sensors and networks, to be used for e.g. charging a medical portable accessory or even a mobile phone. Increasing the Energy Yield from Anaerobic Digestion by the Integration of a Novel On-line Volatile Fatty Acid (VFA) Analyser. The anaerobic digestion process is extensively used to treat solid putrescible organic wastes to produce energy and recycle nutrients to the soil. This project seeks to increase the amount of energy produced from anaerobic digesters and reduce the overall water sector GHG emissions not only by producing renewable energy but by reducing the methane emissions from partially digested wastes. This will be achieved by the deployment of a novel volatile fatty acid (VFA) sensor developed at the University of South Wales and implementing a control strategy based on that instrument to improve gas yield and stability of the resulting digestates. The supervisors have world leading expertise in instrumentation development and the implementation of bioprocesss control and optimisation for anaerobic processes. The instrument has generated 3 papers to date but now needs to be employed in a process control scheme to demonstrate the industrial applicability of the instrument. The process optimisation scheme will be based on the two stage biohydrogen and biomethane process configuration also developed by the applicants. This process which was monitored intensively with manual analysis including VFA analysis has shown a 20-30% increase in methane yield. Concrete: the dominant construction material and the key element in the vast majority of infrastructure assets. However, concrete’s manufacture is extremely energy and resource intensive: >4 Billion tonnes of cement are produced annually, accounting to ~8% of global anthropogenic CO2 and resulting to an annual production of ~2 tonnes of concrete for every person on the planet. The production of concrete is a process associated with very high energy consumption. In Europe, the construction sector alone is responsible for the 36% of CO2 emissions and the 40% of all energy consumption. Concrete and steel are champions in the energy consumption during manufacture with 6GJ/ton and 20GJ/ton respectively. It is therefore apparent that both the carbon footprint and embodied energy of civil infrastructure are quite substantial. The last few years there is a strong interest from the scientific community to reduce the embodied energy of cementitious materials and yield more sustainable cement-based composites. A lot of work is reported on geopolymers and supplementary cementitious materials. Nonetheless, the area of exploring waste streams (e.g. glass, slag, plastics, etc.) as well as non- conventional minerals (e.g. MgO) in the development of sustainable cementitious materials has not been investigated extensively. The GB electricity system is in transition. Over the last twenty years measures have initiated to decarbonise, decentralise, digitalise, and democratise the system. Such measures have given rise to various innovations such as in electricity generation (e.g. repurposing of coal plants for biomass); in domestic electricity consumption (e.g. adoption of energy efficient appliances); the electricity network (e.g. bi directional power). However, the GB electricity system now faces further challenges in the short to medium term for which such trajectories of innovation are unlikely to provide sufficient responses. First, there are likely to be significant increases in electricity demand from transport and subsequently heat. Second, the further integration of non-dispatchable intermittent renewables will potentially reduce the flexibility of the electricity system to meet peak demand, which may be exacerbated by demands from transport and heat. More radical innovation is needed to increase the flexibility of the electricity system to respond to these changes in demand. Here, rather than follow established approaches and construct traditional dispatchable generation facilities (e.g. gas fired power stations), it is likely that energy storage and demand side response innovations will be needed. Such measures will require major systemic changes across the entire production, distribution and consumption systems which comprise the GB electricity sector. However, there is a paucity of research on how such innovation should be conceptualised and managed. This study will begin to help resolve this issue. Housing Health and Safety Rating System (HHSRS) is developed by the UK government as part of the Housing Act 2004 in order to evaluate potential health and safety risks in dwellings (ODPM, 2006). In HHSRS hazards with a score above 1000 are marked as Category 1 hazards that present immediate and serious risk to health and safety, whereas those with a score between 500 and 999 are Category 2 (Nicol et al., 2015). While HHSRS is used for housing, no evidence was found of its application to infrastructure, e.g. roads. Standard classification systems (e.g. Uniclass2015) in accordance with ISO12006 are used for various sectors of the UK construction industry in order to organise information about construction works (NBS, 2015; ISO, 2015). Additionally, ISO22301 and ISO22313 define requirements and guidance for business continuity management to ensure operation of critical infrastructure with minimum disruption in case of emergencies (ISO, 2012a; 2012b). Local authorities use Geographic Information Systems (GIS) to manage a variety of assets, e.g. roads, drainage, buildings, parks, other outdoor facilities (Lennox, 2012). Development and integration of a maintenance / refurbishment prioritisation system based on HHSRS and mentioned ISO standard principles within the existing GIS may present valuable contribution to state of the art and lead towards the optimal use of limited resources in local communities, including energy. The scientific excellence of this project is related to the development of an advanced powertrain with flywheel energy storage to improve the fuel economy and reduce the exhaust emissions. Flywheel offers an onboard energy recovery and storage system which is durable, efficient and environmentally friendly. This technology allows for the design of energy efficient vehicles without the need for batteries which often use toxic chemicals which cannot be recycled at the end of their life, posing serious damage to the environment. This technology can improve the fuel economy of light-duty passenger vehicles by up to 5% which would in turn reduce the harmful emissions in particular CO2 emission. This technology could make a substantial contribution to the UK government CO2 emission reduction target. In this study the aerodynamic performance of a flywheel energy storage at different operating conditions will be investigated using commercial CFD software to develop an optimised geometrical configuration to achieve maximum energy recovery and storage with minimal losses. The understanding of the effect of sorption phenomena of construction materials in the realm of building physics research is still in its infancy stage and only started about a decade and a half ago. The theme gained prominence as a result of increased use of highly hygroscopic materials such as bio-based concretes or rammed earth (unfired clay based material), (Collet 2004, Collet et al., 2008). Many research works have since focused on the Hygro-thermal behaviour of highly hygroscopic materials in order to better integrate the coupled heat and mass into transfer models within envelopes (Kwiatkowski et al 2009, Piot et al., 2011, Woloszyn et al., 2009; 2008, Janssen et al., 2007). Indeed, there is a coupling between the thermal properties of the hygroscopic materials and the water content. The thermal conductivity increases as the water content increases making the insulating material less efficient with obvious energy losses. In contrast, the phase change enthalpy of the water vapour creates an internal heat source that can reduce the wall conductance (Lelievre et al 2014, Dubois et al 2013, Evrard & De Herde 2010; Aït Oumeziane et al 2016, Collet et al 2013, Tran Le et al 2010, Collet & Pretot 2014, and Woloszyn et al 2015). It has thus become a necessity to consider, and research, the interactions between materials and indoor air. The adsorption and desorption of pollutants from construction materials, until now, been studied as a secondary source of pollutant emissions (Popa & Haghighat 2002, Hansson 2003). A Recent study has measured these interactions for the CO2 molecule (Rajan et al., 2017). But more frequently studies on the passive regulation of ozone have been carried out (Nicolas et al., 2007) in the case of conventional materials. A recent study investigated the ability of clay mud plaster to regulate certain pollutants, including ozone (Darling et al 2012, Darling et al 2016) because of clay’s high adsorption capacity because due to its active surfaces of clay minerals and their large surface area, which can reach up to 800m2 / g for some montmorillonites. Further developments are needed to investigate the ability of clay based materials to reduce the indoor air pollutant content. The ability to use renewable energy generation techniques (wind, wave, solar, etc.) as the power source for water electrolysis (whereby hydrogen and oxygen gases are generated) has increased the attractiveness of hydrogen fuel cell technologies (FC). As “green” hydrogen can be used as a fuel source for FC’s to generate power, this offers a less polluting alternative to current fossil fuel based energy generation techniques. Acidic-based electrolysis typically involves two major reactions, the hydrogen evolution reaction (HER) and the oxygen evolution reaction (OER), which occur at the cathode and anode respectively. The currently accepted optimal catalysts for the HER and OER are platinum based compounds and iridium/ruthenium oxide, respectively. The high associated costs of these materials means that FC based technologies are currently not economically viable. Substantial research has focused on finding cost effective alternatives to Pt as the cathodic electrode material within electrolyzers, with particular attention being directed towards the use of 2D dichalcogenides (MoS2, MoSe2 etc. ), which have shown to be useful electrocatalytic materials towards the HER. The transition to a low-carbon future requires the replacement of conventional high-CO2 generation with cleaner renewable sources of electricity. The recent rapid growth in the UK and Europe of renewable power generation (principally wind and solar) has provided a challenge to system operators. They must now manage the electricity grid under a much higher level of unpredictability and intermittency, with a reduced level of inertia previously provided by conventional power stations. Building on recent work by the First Supervisor, the project will develop dynamical systems/differential equation mathematical models of electricity power networks. The importance of dynamical systems approaches has been highlighted in the US National Academies of Sciences 2016 report: “Analytic Research Foundations for the Next- Generation Electric Grid”. The study of the challenges – and opportunities – for the operation of an electricity power network under various future energy scenarios (including the expected high levels of renewables and electric vehicle charging) is both timely and important to achieve the low-carbon energy system needed to mitigate the negative effects of climate change. Electrical grids are characterised as systems having many sources, massive numbers of loads, and a complex, non-uniform network connecting the two. Thus, simulation of such a system is computationally intensive. Fast simulation of such systems is a key enabler for optimising them, reducing their cost, and for avoiding catastrophic system failure. While neural networks have primarily been developed for machine learning, it is also possible to use them to emulate dynamic non-linear systems. Such an approach has been shown to be computationally efficient and can be made even more so by making use of specialised hardware, such as GPUs or TPUs. Furthermore, autoencoder NNs can reduce dimensionality, which is particularly important when dealing with systems with large numbers of degrees of freedom. The use of NNs also makes it straightforward to learn a model from past data. This is particularly important when the detailed characteristics of the components of the system are unknown. For many mini-grids, infrastructure and available expertise is minimal. Thus, expert simulation and optimisation may not be feasible. 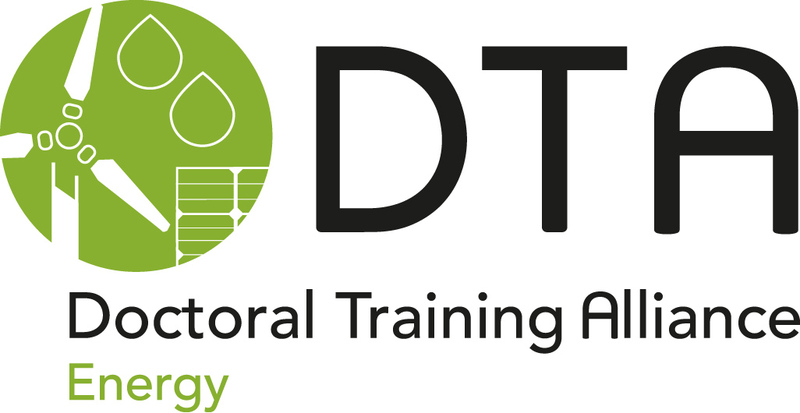 This PhD program is intended to bring together ideas from machine learning, dimensionality reduction, physical system simulation, and mini-grid design to develop a method to allow a mini-grid to self-learn, to adjust to a changing physical environment, and possibly to self-repair and thus enable and reduce the cost of this technology for a wide audience of isolated and semi-isolated communities. Despite the introduction of new SRE technologies (Smart Homes, Solar PV, etc. ), their widespread use in households has been hindered by numerous factors such as high capital cost, and lack of incentives. In this project, new methods of energy trading that can be used by households will be developed. This approach is novel and, if successful, not only a significant growth in households using SRE technologies can be achieved, but energy trading models could be the way forward to revolutionize the energy sector. Rain has the potential to constitute an abundant, clean energy source. However, attempt at converting mechanical impact energy into electrical energy is proven difficult. Instead of relying on mechanical to electrical conversion, we propose to take advantage of the many physical liquid to solid interactions that exist when a drop of water impacts a solid surface. One of the often overlooked interfacial effects that exists between liquid and solid is the triboelectric effect. Triboelectricity is the well-known effect by which two surfaces can accumulate static electrical charges by contacting each other. Many children will probably have experienced this phenomenon with party balloons, when previously rubbed to their hair, appearing to be able to stick to the ceiling. When rubbed together the balloon and the hair will acquire and accumulate opposite charges, one material ripping off electrons from the other. The accumulation of static charges at the surface of the balloon generates an electrostatic force allowing it to stick to the ceiling. Perovskite-structured compounds were first used in solar cells in 2012 and since then have seen rapid increases in efficiencies. In just a few years efficiencies have reached over 22% , already higher than most competing photovoltaic technologies. Research into this new class of photovoltaics is still in its infancy and there is lots of fundamental physics still to learn about these materials. Rotor blades are critical structural element of the wind turbine as they constitute 15%-20% of its total cost and are the most frequently reported damaged component. They are made of composite to ensure a light weight, high specific strength, high stiffness and good impact damage resistant structure. The commonly used composite materials for wind turbine blades are glass fibre reinforced polymer (GFRP) and carbon fibre reinforced polymer (CFRP). Normally, epoxy resin is used as the composite matrix material, although other materials are used such as vinyl ester, polyurethane, and unsaturated polyester. One of the main challenges in proton exchange membrane fuel cells (PEMFC) is the development of lightweight, durable materials for bipolar plates (BPPs), which must exhibit low surface contact resistance, high corrosion resistance and low production costs. This project will develop surface engineering solutions to address these issues and provide enhanced performance and durability. City Information Modelling (CIM) is being understood as the base for most Smart-City frameworks and designs. This is already being carried out piecemeal with the help of smart sensors or IoT for traffic regulation, parking etc. Like the city of Rijeka, cities are adopting a Balanced Score Card (BSC) to develop and align their strategies. This gives a clear system for strategy definition & dissemination, feedback and alignment. Existing commercial trials include: ET City Brain by Alibaba, Car2X technology demonstration by Volkswagen and Siemens, SAP HANA, Leonardo, Vehicles Network and Cloud platforms, IBM Intelligent Operations Center for Emergency Management, Atos MyCity. Open source and freeware platforms include Sofia 2, FIWARE, OpeNRJ, DG Logik, AQUICN, ThingPlus. User-driven multi-objective optimisation strategies for anaerobic digestion system design. Anaerobic Digestion (AD) can convert waste biomass into valuable renewable energy and agricultural products. However, there are numerous choices regarding technology types, feedstock mixtures, operating conditions and downstream applications. There are also significant differences in the use of AD in developing and developed countries, with small-scale systems being used for street lighting and domestic cooking, and large-scale commercial systems providing electricity and gas to national grids. Each country has its own multifarious challenges that have prevented greater exploitation and sustainable development of AD and, as systems are still generally designed by rule of thumb, optimisation tools are needed to achieve greater environmental and financial gains. Research on anaerobic digestion systems has had a tendency to focus on maximising biogas yields; however, this does not necessarily result in the most cost-effective design. Design objectives of AD systems can range from minimising the cost of producing electricity to maximising substrate mass reduction. Several mathematical models have emerged for simulating AD process dynamics, which offer new opportunities for designing AD systems using multi-objective optimisation algorithms. Multi-objective optimisation methods have become popular tools for renewable energy planning, but research on their use for anaerobic digestion is limited. In the UK, the use of AD is expected to double by 2030 and similar statistics are reported in other countries. Thus, in order to foster sustainable growth, there is now a pressing need to support users and other decision makers involved in implementing and operating AD systems. An examination of the relationship between unhealthy weight and alcohol consumption in young women. This multidisciplinary PhD will add to the growing work around the links between alcohol and health lifestyles/weight and will be led by two internationally renowned academics in the field (Newbury-Birch and Ells). Professor Newbury-Birch has led and been involved in a number of national randomised controlled trials looking at the effectiveness of alcohol interventions on young people in the high school setting. She has over £14 million of research funding and has published nearly 100 journal articles. She sits on the NICE advisory board for the guidelines on alcohol interventions in the school setting as an expert in the field and has been involved in developing alcohol screening tools for the youth justice board. She is an expert in co-production work in the development and carrying out of research, especially with young people. An exploration of the prevalence of lifestyle factors including alcohol, drugs and mental health amongst young people who commit hate crimes. This multidisciplinary PhD will add to the growing work around public health and criminal justice and will be led by two internationally renowned academics in the field (Newbury-Birch and Copsey). Professor Newbury-Birch has led and been involved in a number of national studies with young people in the high school setting and within the criminal justice setting. She has over £14 million of research funding and has published nearly 100 journal articles. She sits on the NICE advisory board for the guidelines on alcohol interventions in the school setting as an expert in the field and has been involved in developing alcohol screening tools for the youth justice board. She is an expert in co-production work in the development and carrying out of research, especially with young people. She is the Strategic Director of the Centre for Crime, Harm Prevention and Security (CCHPS) at Teesside University. An information technology adjunct to case administration in frontline social work: a randomised controlled trial on outcomes for clients. This study will deploy an experimental method to evaluate the efficacy of an IT based solution in reducing administrative demands on social workers. Initial discussions, with an industry- based advisory group, suggest that social workers’ recording responsibilities and multi-disciplinary interactions are ripe for streamlining. The underlying premise of the project is that voice-to-text and voice-recording applications, together with a sound clip filing system can be deployed in frontline social work to reduce the time spent on administration. This project proposal is therefore grounded in industry-based stakeholder consultation, and will help address a real-world problem. This project also has the potential, through the facilitation of better quality relationship-based social work practice, to impact the well-being of some of the most vulnerable people in our communities: social work service users. The project comes, therefore, with a strong research ethics mandate as potentially impactful on the efficacy social work practice, where ever social work is practiced. How the urbanisation process unfolds, creating and recreating built environments, transport infrastructure, and communication pathways, has serious consequences for residents, businesses, and the environment. Because of these serious implications, the urbanisation process is governed by intricate administrative procedures and policies that attempt to balance competing interests and agendas. How these governmental mediations shape the urbanisation process will potentially impact upon the life of the millions who rely on built environments to access essential goods and services. They also have major implication for commercial actors speculating on price- shifts in real property markets. Where material tensions emerge between built environments as a condensed site of use values, and a lucrative target for commercial speculation, corruption becomes a powerful lever which investors can employ to improperly influence urban policy and administration. The structural character of education in most societies has significant impact on the socialization of citizenship. In this sense education policy offers an ideal means to fortify an ethnic group’s understanding of their place in a country. Assimilationist education policies provide the opportunity to reinforce governing language and culture by offering ‘single institutions operating according to the values of the dominate tradition, where minority needs and interests are often neglected’1. Alternatively, Separatist policies, which are characterised by the provision of ‘separate institutions each serving different constituencies with relatively homogeneous populations’2 are able to transmit exclusive cultural practices, expressing a pride in a divergent identity, marking a group as different from those around them. Education policy aimed at both content and structure, can serve to strengthen or weaken a group’s position within a society and affect inter-group relations. In societies marked by ethno- politics, identity conflict and division, education therefore takes on a distinctly important role, strengthening and weakening government legitimacy. As such education policy is often the most divisive and contested policy within a society experiencing active conflict. The current academic analysis of education policy within contested societies highlights the mismatch between the desires of the people and their representative political and military elites. Initiatives and services intended to support individuals and households with energy related problems (i.e. high bills, cold homes, poor energy efficiency etc.) consistently fail to reach the most marginalised, vulnerable and low income households who stand to gain the most from such initiatives (Ambrose et al, 2016). Resources are instead taken up by consumers better positioned to take advantage of the help on offer. There is very little existing knowledge or good practice in relation to engaging the hardest to reach in energy advice initiatives (Ambrose et al, 2016; Ambrose et al, forthcoming). Acquiring new knowledge on how to engage society’s most vulnerable households in energy initiatives is vital as energy prices continue to rise and such households face higher energy costs as a proportion of their income than other groups in society in addition to increasing pressures allied to welfare reform and limited access to social housing (Bouzarovski and Herrera, 2016). Such households will also need support to navigate conflicting messages around the need to reduce energy consumption for environmental and financial purposes whilst also heating homes sufficiently to maintain health and wellbeing. Europeanisation or fragmentation of Populism? The role of social policy and policy diffusion. Social policy in terms of both discourse and practice plays a significant role in the contemporary rise of populist politics. The welfare narratives underpinning the logic of both left and right wing critiques of elite rule as self-serving and corrupt are critically important in demonstrating how populist aim to serve the interests of the ‘people’ they claim to represent. Generally speaking, social policy problems can be described as ‘wicked’ (Rittel and Webber 1973). They are complex and ambiguous, long-lasting, and there are various perspectives to them. There are no solutions that are undisputable, nor can they be solved by focusing on one perspective or approach at a time but rather the solutions are usually multidimensional and multidisciplinary. This sits uneasily with populist politics, motivated by the simplifying policy problems into black-and-white issues where both the underlying problem and the proposed solution are articulated in simple and straight forward language. How, then, do populist political parties engage with wicked social policy issues? Crime and criminal justice have been identified as domains (Cohen, 2017) in which individuals with autism spectrum disorder’s (ASD) human rights are not being met. This PhD explores the lives of people with ASD who experience crime, victimisation and contact with the criminal justice system. It is estimated that one in 100 adults have ASD, equating to 70 million individuals worldwide (Baird et al, 2006). A significant minority population, people with ASD are more likely to be victims and witnesses of crime than offenders. Yet we know relatively little about the extent, nature and impact of crime and victimisation on this societal group nor do we have adequate understanding of the ability of criminal justice services to meet their needs. Indeed, it is recognised that the study of ASD, crime, victimisation and criminal justice is still in its infancy (King and Murphy 2014). The study will inform best practice relating to criminal justice. A desired outcome of the proposed research is to inform policy and practice, specifically by advising criminal justice professionals as to the needs of people with ASD. Local food systems and local economic democracy: a framework for delivering food security? Local food systems describe integrated networks bringing together production, consumption, distribution, procurement and food waste management. These networks are not usually well described and often key anchor points and connections between organisations in the network are frail. Indeed, most urban food strategies make no attempts to define and delimit the local food system but rather describe the benefits it is intended to provide (Sonnino, 2014). In the global north local food systems include an array of geographically proximal organisations (Feagan, 2007) providing a range of innovative retail and production formats (Pearson et al., 2014). These include community food-growing initiatives, social supermarkets, food-banks, workers food co-ops, community food co-ops etc. In the global south (GS) they include women’s groups and cooperatives, small-scale farmers, urban and periurban markets, other agricultural producers, and forms of food aid akin to food-banks (Monjane & Tramel, 2018). These networks have the potential to support development of food security, food sovereignty and food justice, and enhance the health, wellbeing, sustainability and resilience of local communities and economies, and may enable societies to meet the sustainable development goals (SDGs), especially in relation to ending hunger and achieving food justice and food security (House of Commons, 2017). Currently, little is known about the mechanisms through which this may be achieved in both the GN and GS nor whether lessons learned in one apply in the other. This PhD focuses on two cities – Preston (UK) and Patna (India). Both cities have complex socio-economic problems. Preston has suffered from austerity policies which have required innovative ideas for reshaping its economy to boost local jobs and services; this has seen the city improve on a range of economic indicators (Manley, 2018). Preston sits in an agricultural county, Lancashire, that closely mirrors the UK as a whole (Clutterbuck, 2017). Patna is one of the fastest growing cities in India and is a major agricultural hub in the state of Bihar; it suffers from problems associated with urbanisation including unemployment and poor public health. As cities in the GN and GS they make relevant comparator case studies. The United Nations set a target for 188 countries to reduce suicide rates by a third by 2020 with only 5 countries expected to exceed this target. Suicide is complex and highly stigmatised having a disproportionate effect on Low and Middle Income Countries. The impact of suicide is wide ranging, devastating families, disrupting communities and affecting those bereaved in practical ways for example through loss of earrings. Through international relationships, fostered through existing research collaborations with colleagues in Uganda, Guyana, Zimbabwe and the UK this research will explore cross-cultural perspectives on suicide prevention and facilitate knowledge exchange to identify common factors that can contribute to a sustainable global community of prevention and support. The impact of parental imprisonment on children: A European comparative study. It is estimated that around 94000 children in the UK have a parent in prison. Furthermore around 60% of women in prison have children. It has been identified that children who experience parental imprisonment are likely to experience adverse outcomes in later life. This project will take a comparative approach by exploring children’s experience of parental imprisonment. The study will take a comparative approach to explore children’s experiences and the support they are offered. By exploring this in at least two different European countries it will be possible to consider how different philosophical approaches to punishment influence children’s experiences and the support available. In addition, the comparative approach will consider how public perceptions and the associated stigma, impact on family’s willingness to access support. Product counterfeiting is recognised as a highly profitable global illicit market that is increasingly attractive to ‘organised’ criminals and on a transnational level. Fake goods are associated with a range of complex harms impacting on economies and societies around the world. In recognition of the sheer volume of fake goods permeating various markets, EU regulatory and law enforcement agencies are paying increasing attention to product counterfeiting. Yet, despite their increasing concern, comprehensive knowledge of the trade in counterfeits and its interconnections with transnational organised crime remains limited. The aim of this project is to examine the role of the European Union in the global trade in counterfeit products. The study will cover the EU context, whilst also considering the nature of the trade with the major global source of counterfeits, China. The project will begin to develop an important knowledge base for law enforcement, regulatory agencies and policy makers. This will support informed decision making about resource allocation and measures to tackle counterfeiting and transnational organised crime. The project will address a considerable knowledge gap involving the social construction of what police corruption entails, with reference to Western criminological literature, which will be compared with other parts of the world. There are virtually no studies, except conducted by the lead researcher, on the lower levels of the Afghan police on corruption despite them making up the majority of the estimated 169,000 force size. The reason to do this is to initially discover what corruption means to everyday street- level police officers in order to pave the way to mitigate them. In contemporary literature, police corruption predominantly entails bribery, extortion, the fabrication of evidence to attain arrests (and other forms of noble cause corruption) and debatably receiving minor gratuities. However, previous research conducted by the lead researcher of this project has discovered that police corruption in Afghanistan does cover some of these aspects, namely bribery and roadside extortion (due to low pay and payment of kickbacks up the chain of command to superiors), but minor forms of what the West would deem as corruption are part of the social contract to get things done. The main forms of corruption are deemed as patronage within the recruitment process, bribery and unprofessionalism. Interdisciplinary by nature, the project will investigate and assess the local implications of the police corruption in Afghanistan, which will be compared with Western criminological literature and the context of a chosen European police force. It is well-known that language policy is inevitable. Public authorities at the regional, national and international level cannot implement fundamental government functions such as law, public administration, health services and education in any language individuals may request. A situation of absolute linguistic equality, therefore, is purely theoretical. Yet, in the world societal multilingualism is the norm rather than the exception. The presence of traditional minorities and the unprecedented mobility of modern humans is leading to extraordinary levels of multilingualism in many cities and countries. The choice of the government as to which language should be used is not neutral. As public goods and services can be more or less multilingual, alternative language policies can entail different effects on the socio-economic situation of individuals living in a country or region, on minorities and migrants alike. Some forms of language policy can ensure a greater degree of linguistic inclusion in society, or on the contrary exacerbate linguistic exclusion and entrench existing inequalities. This question has been discussed by scholars from various academic traditions. The labels used may differ — e.g. “linguistic discrimination”, “linguistic justice”, and “linguistic disadvantage”— but all contributions share a common ground, that is, the study of the unequal relationships between languages in a given territory, and the consequences of these inequalities for their speakers. The United Nations Sustainable Development Goals (SDGs), represent the global framework for social policy and development. Consisting of 17 goals the SDGs bring together 169 interdependent targets across a wide range of policy issues in areas such as health, poverty, education, gender equality, global warming and social justice. With focus on reproductive health (including maternal health, sexual health and family planning), this project investigates how these goals become translated into policies that can be implemented at the local level. In particular it investigates the role of Non- Government Organisations (NGOs) in translating the SDGs into implementable action (specifically Goal 3: ‘health and well-being’; Goal 5: ‘achieve gender equality and empower all women and girls’). Recognising the inherently interdependent nature of the goals, the project inquires the extent to which NGOs tasked with addressing these complex and interdependent challenges are able to translate the goals into practice that contributes to better reproductive health. This interdisciplinary social scientific project straddles the disciplines of forensic science and technology to explore the opportunities for learning from major crime investigations to inform an evidence base of ‘what works’ in these investigations. Calling on the core principles of evidence-based policing, this project will focus on an under researched area of policing. 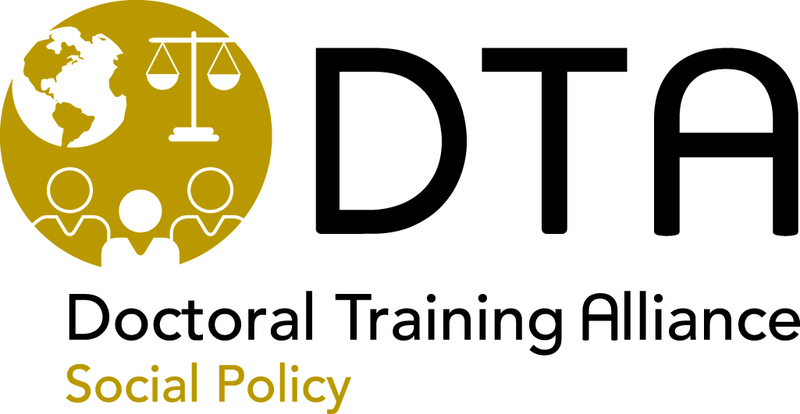 The project will fill this gap in research to provide evidence to practitioners and policy makers within the criminal justice system at a time when there is a clear need for increased efficiency and being able to deliver more for less with diminishing budgets and increased workloads. Understanding the Use of Digital Forensics in the Investigation and Prosecution of Major Crime Offences in England and Wales. Demand for digital forensics (DF) has grown in parallel with the increased use of digital devices, such as ‘smart’ mobile phones, over the past 20 years. At the same time, there has been a decline in the demand for traditional forensic science such as DNA and fingerprints (Home Office, 2016). The Forensic Science Regulator’s Codes of Practice define DF as “the process by which information is extracted from data storage media, rendered into a useable form, processed and interpreted for the purpose of obtaining intelligence for use in investigations, or evidence for use in criminal proceedings” (Forensic Science Regulator, 2015: 3). Specifically, DF involves the extraction, analysis and interpretation of information (such as photographs, videos or GPS data) from any digital equipment such as smartphones, tablets, computers, satellite navigations systems, gaming consoles and smart TVs. The average British household now owns 7.4 digital enabled devices and it is not unusual for police to recover several devices as part of a single investigation (Home Office, 2016:8). This proliferation of devices means that digital forensics is an increasingly common feature of criminal investigations. This is particularly so in the case of major crime1 investigations, where significant resources are deployed to gather and analyse digital devices. Social cohesiveness is a key phenomenon of effective group dynamics, membership continuity and maintenance of positive relations. Online social media has become an extension of the individual, connecting people irrespective of their geographical location, and facilitating social inclusion and connectedness (Kuss, 2017). More immersive modes of virtual interaction offer a stronger sense of presence and psychological impact to users (Donnelly & Kuss, 2016), arguably facilitating perceived sense of social cohesion, which is central to effective, positive group dynamics and membership continuity. Technological advancements place Virtual Reality (VR) at the forefront of future economic, social and business interaction. Virtual Reality (VR) offers a fully immersive experience where participants can interact with virtual individuals or objects. Through embodied simulation and mind-body-environment unity (Barsalou, 2008), the more immersive VR-based networking would show advantage over traditional computer interfaces in contributing to rewarding group dynamics, and successful relationships. Psychologically, these are powerful features contributing to a rewarding group dynamic and interaction enabling participants to interact with other people more successfully. Thus, advancements in technology, strongly position VR at the forefront and future of economic, social and business interaction and networking.